WASHINGTON – Democratic lawmakers said Wednesday that Trump administration efforts to revamp the Endangered Species Act disregard science and ignore the impact that climate change is having on wildlife and their habitats. 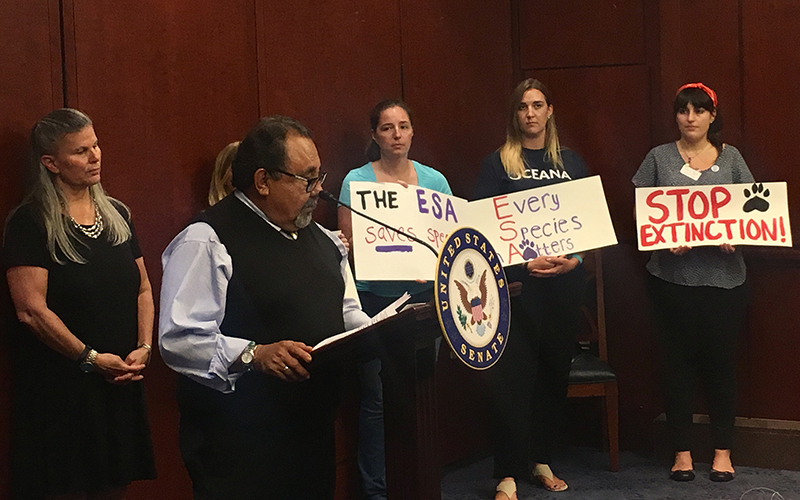 Grijalva said those future generations are driving the fight to save the Endangered Species Act, because preservation of the nation’s wildlife is the best thing Americans can pass along through the years. Those bills include one by Gosar, the chairman of the caucus, that would restrict the designation of critical habitats on reservoirs or other water storage areas. Another, introduced by Rep. Andy Biggs, R-Gilbert, would set specific policies under which the government has to remove a species from the endangered or threatened list. “In order to better protect species, we must treat property owners, states and local stakeholders as partners rather than obstacles,” Gosar said in a prepared statement Wednesday. “Modernizing this Act will allow us to start making policy decisions based on science that is standardized, transparent and publicly available,” his statement said. Democrats, however, argue that the Republicans’ plans disregard science, instead looking at cost calculations of big corporations and letting money drive their decisions. They said the Endangered Species Act is one of the more bipartisan pieces of legislation on the Hill – it passed with unanimous Senate approval in 1973. But Udall said environmental protections are not safe in today’s political climate, regardless of their success rates. Grijalva pointed to a Native American proverb that he said applies in the current situation.